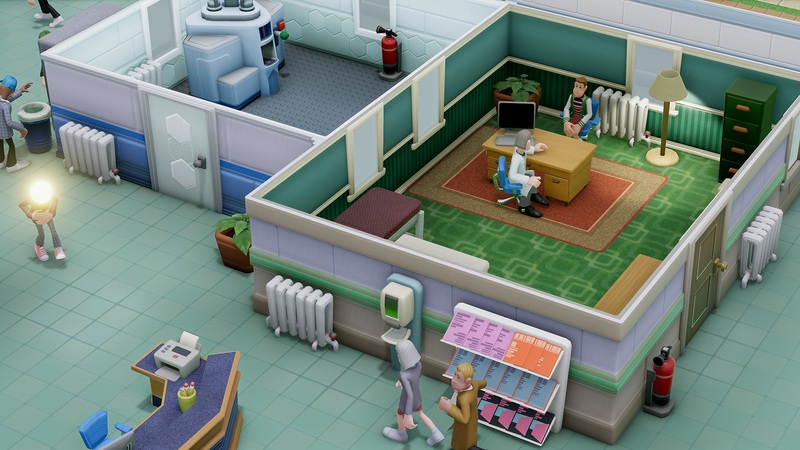 Two Point Hospital is the spiritual successor to the legendary Theme Hospital and the first game by Two Point Studios. We recently had the pleasure to sit down and talk with two of the game’s developers: art director Mark Smart, and head animator Chris Knott. Two Point Studios was founded by Mark Webly and Garry Carr, who previously worked at Bullfrog Productions on Theme Hospital in 1997. They wanted to make a sequel, but with EA’s growing intervention within Bullfrog, they left before they can realize that dream. After that, they joined another former Bullfrog employee, Peter Molyneux, to form Lionhead Studios. After Microsoft closed Lionhead in 2016, Webly and Carr founded Two Point Studios. 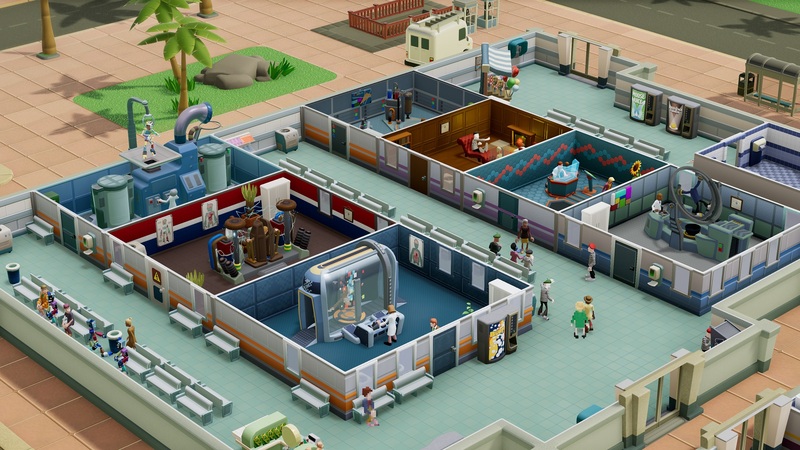 Smart and Knott also said that it simply felt right to launch the spiritual successor to Theme Hospital now, and they think that gamers have always waited for a sequel. From the developers’ point of view, Two Point Hospital is a whole new game, and not a remaster of Theme Hospital. There are resemblances, of course: the game is very light-hearted and full of wacky British humor. Fans will also recognize the visual style, though the choice to keep it isn’t driven by nostalgia, but by how well it ages. The game includes many of the aspects of the management and simulation genres, and while it feels friendly, the developers do recommend exploring and trying out everything. Otherwise, things can get out of hand quite quickly. 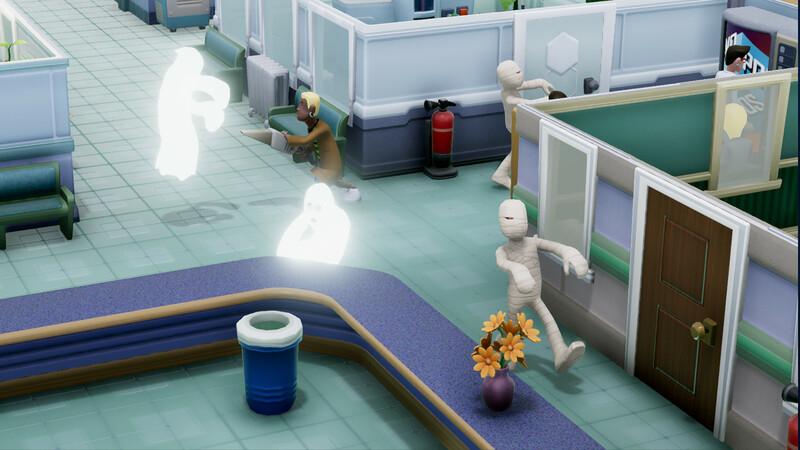 Two Point Hospital is mainly a single-player game, built around a campaign with increasing levels of difficulty. You can choose between several different hospitals across Two Point county, each in different climates that can affect the patients and the type of treatments they require. The first stages teach you the basics and familiarize you with all the tools, but later stages unlock newer, better technology to deal with new diseases and conditions. You can even return to previous levels with your newly unlocked tech and try different approaches to solving them. We asked Smart and Knott where they got the inspiration for all the diseases, symptoms, and events that the player encounters during the campaign. Apparently, the entire team used to sit together and brainstorm through a complex creative process. The first part of the creative process was dedicated to the different experiences the team had with the British health system. This, naturally, led to a conversation about the fear of doctors and hospitals, and the attempt to overcome that fear with large amounts of British humor (including A LOT of dad jokes). The second part centered around medical events: the team started throwing names of diseases they invented, the symptoms accompanying them, and ways to treat it. Another huge factor in any hospital is the staff, and you won’t believe how wacky they got. But before we meet the new crazy staff – a moment of seriousness. Two Point Hospital lets you hire a male nurse, a female doctor, a male receptionist, or a janitress (a female janitor). This is the exact opposite of the situation in the original game, where all the doctors were men and the nurses were women. Every staff member has a list of personal characteristics you should pay attention to. You can hire a top-rated surgeon (who will probably cost you an arm and a leg), but if you don’t notice one of his characteristics is “not washing hands,” you might find yourself with a patient dying of infection after a successful operation. Obviously, you’ll have to take care of your staff, so they’ll be able to perform under stress and make sure they are properly trained as the stages progress. Smart and Knott told us that while the team wasn’t accompanied by a certified medical source, much of the strange behaviors your staff displays during the game originate from real-life events friends shared with them. 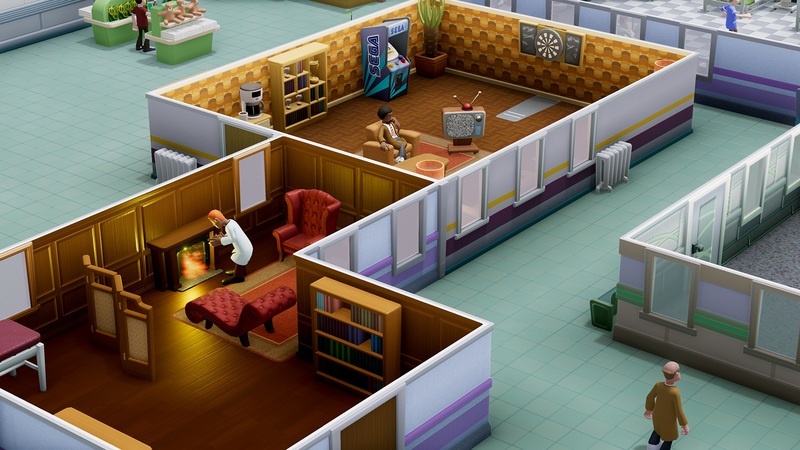 Two Point Hospital is expected to support mods in the future, which will prolong its shelf life. The game already supports some multiplayer elements, such as co-op, challenges, and leaderboards with parameters such as patients treated, time to complete levels and so on. If you who are searching for a great management game with wacky British humor, Two Point Hospital looks to be that game. As for us, we are looking forward to seeing what Two Point Studios will come up with next.